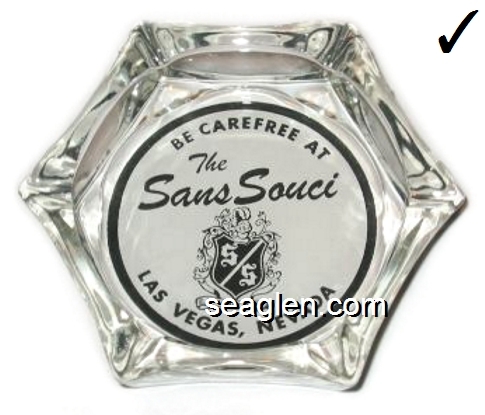 Located at 2501 E Charleston Blvd in Las Vegas, "Where Fremont Meets Charleston". 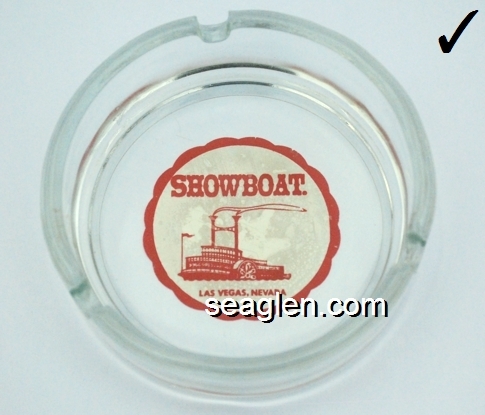 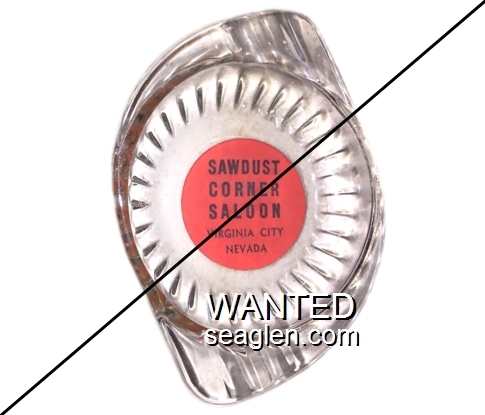 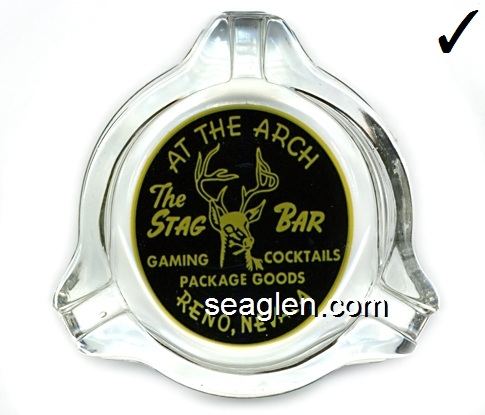 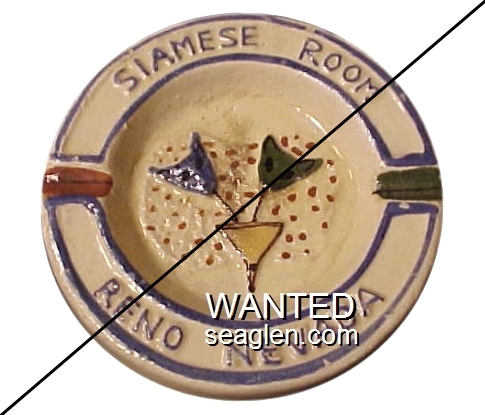 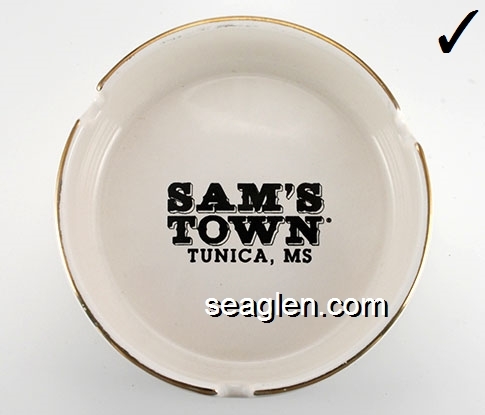 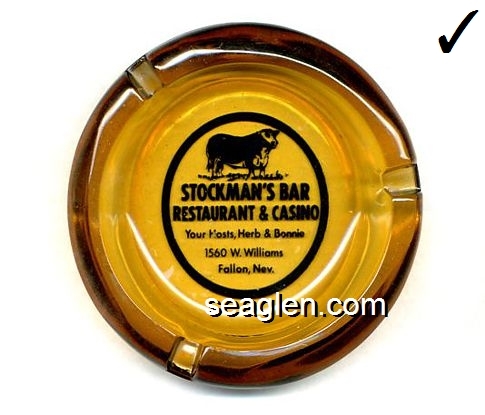 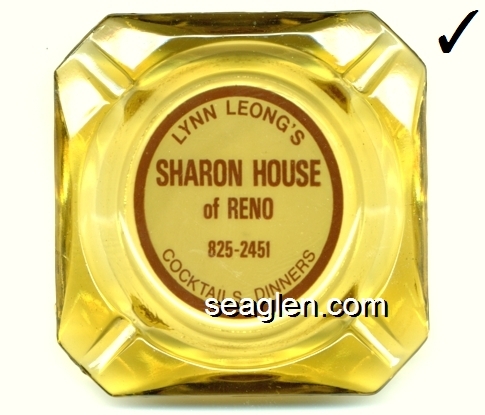 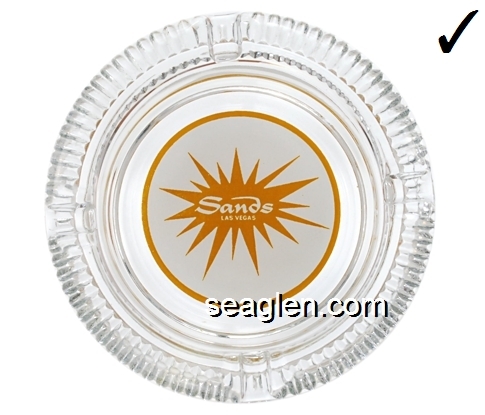 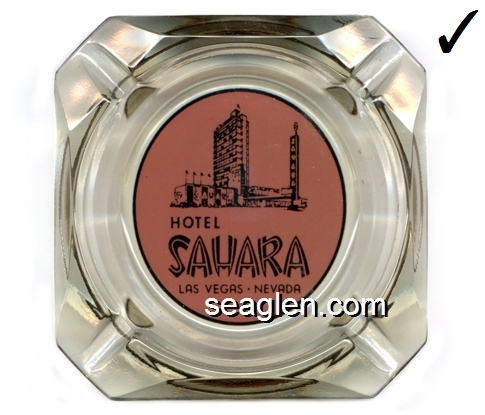 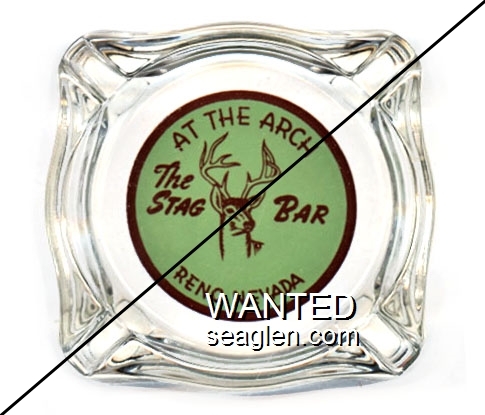 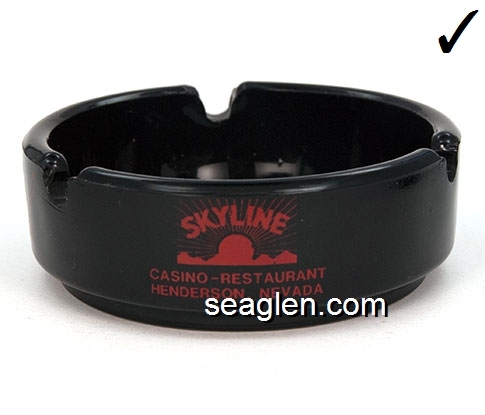 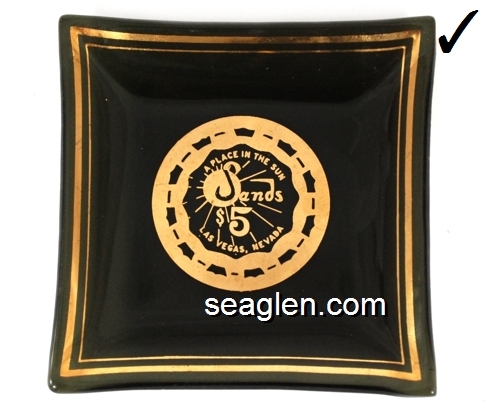 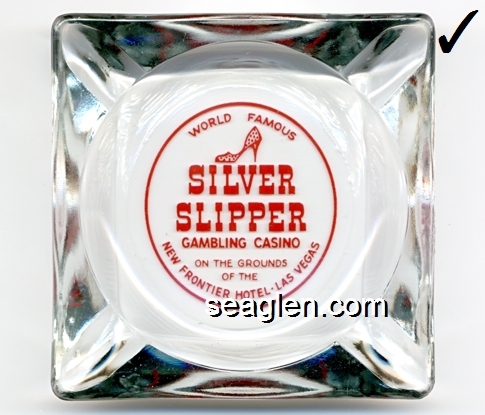 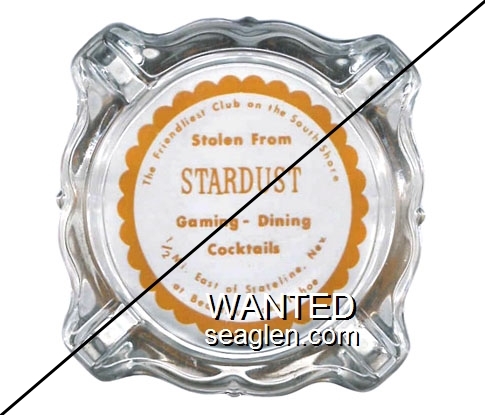 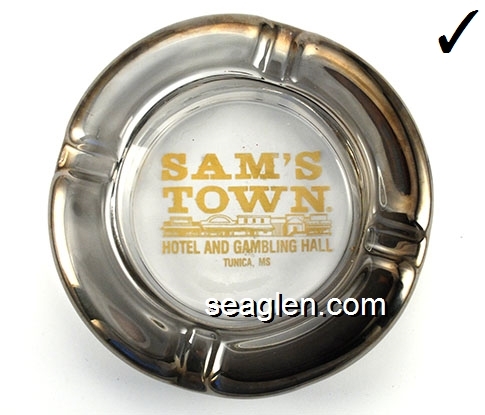 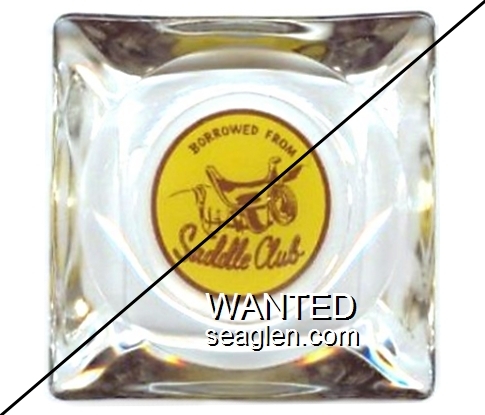 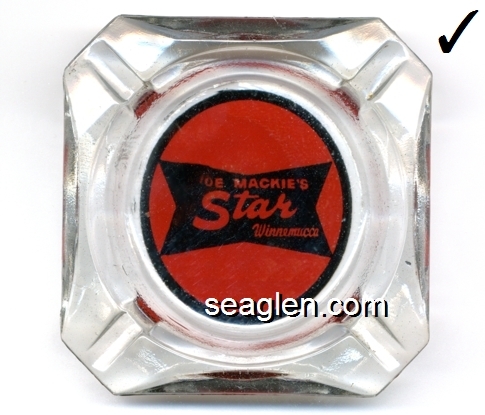 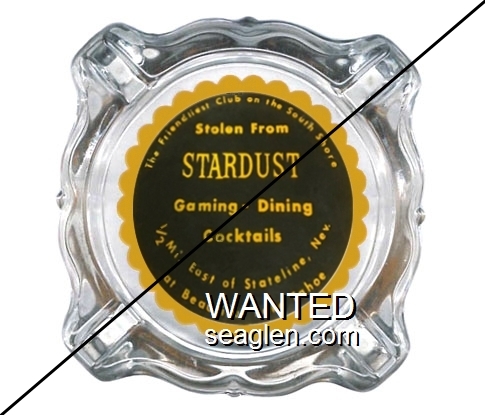 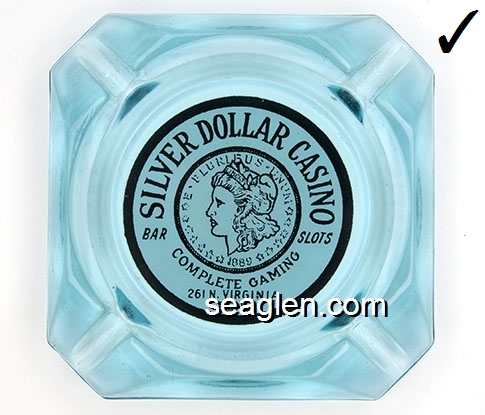 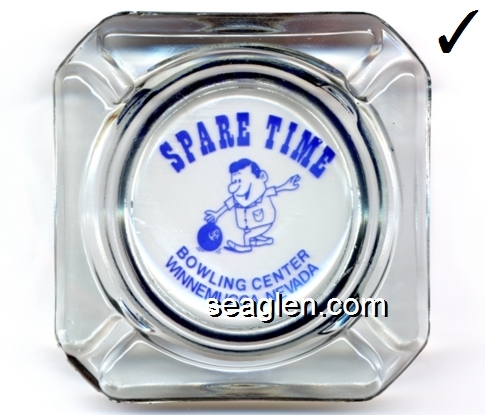 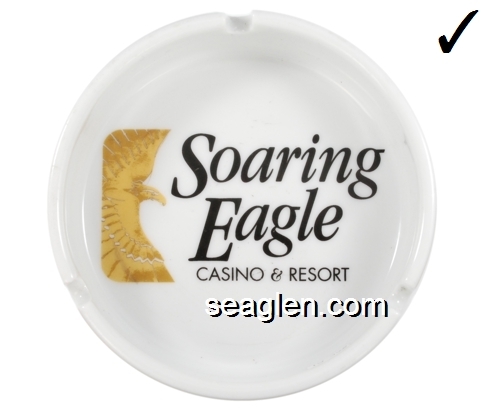 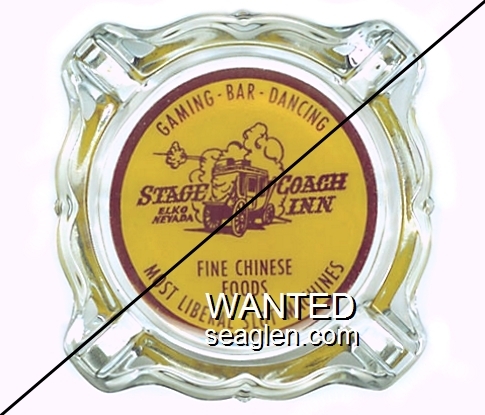 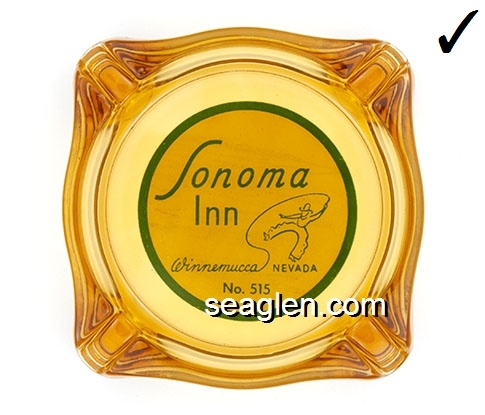 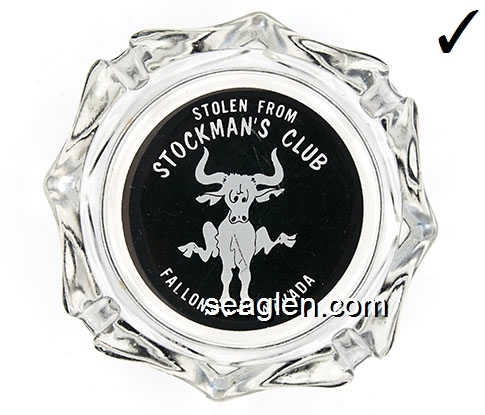 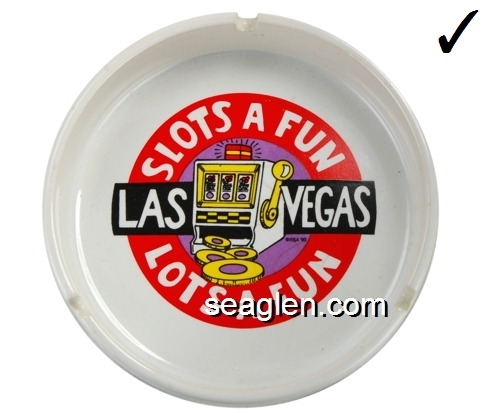 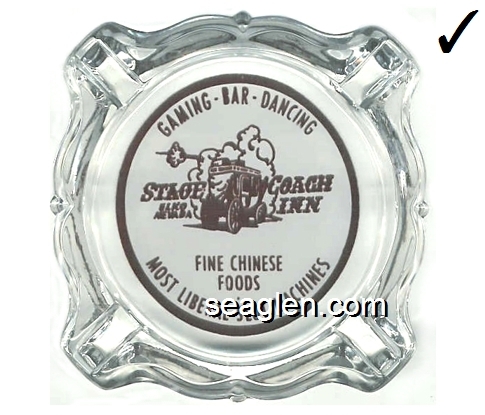 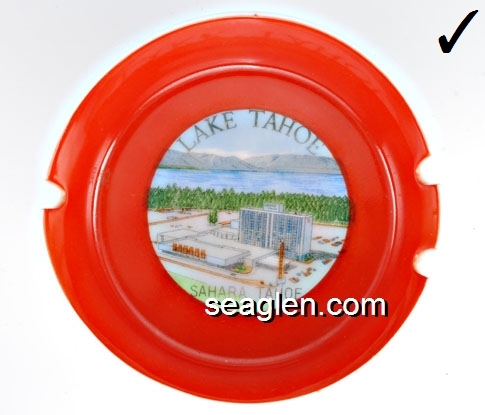 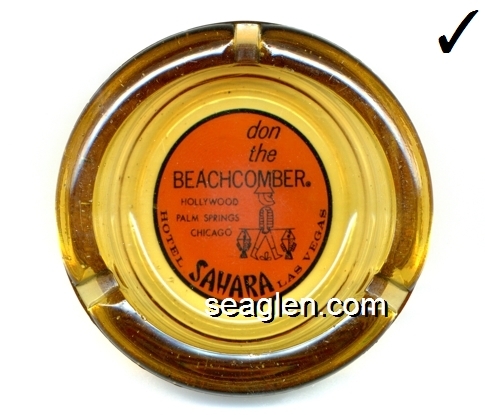 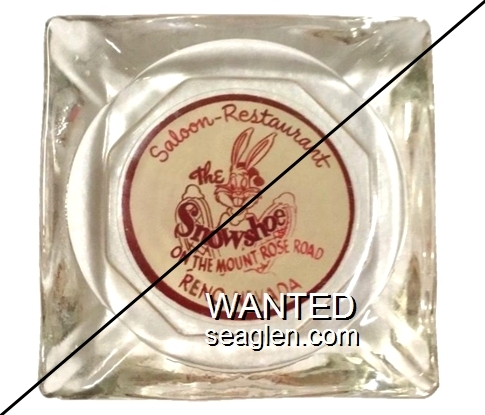 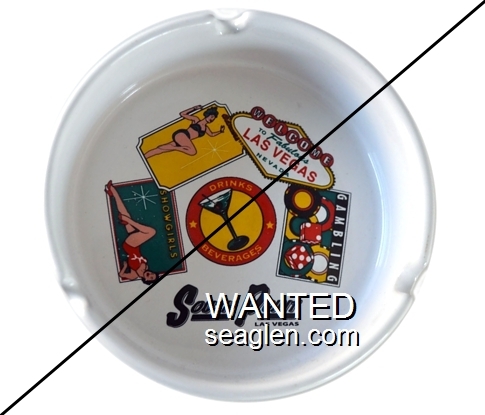 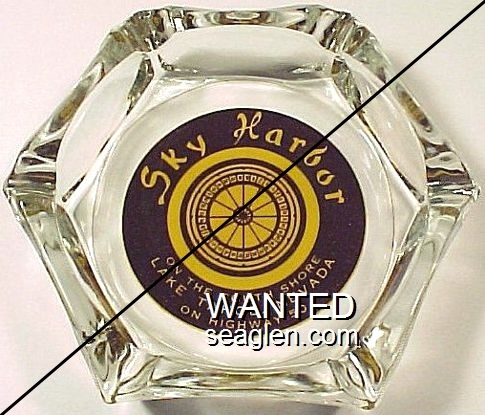 Licensed for gaming between 1945 and 1960 with various owner/operators. 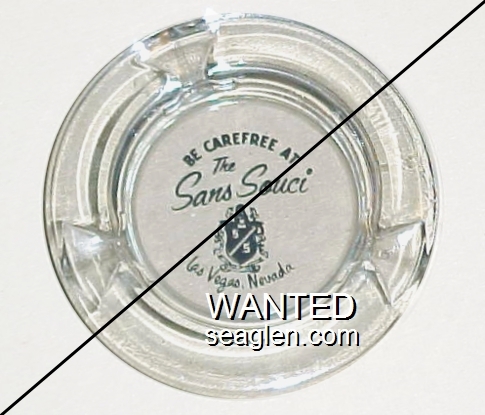 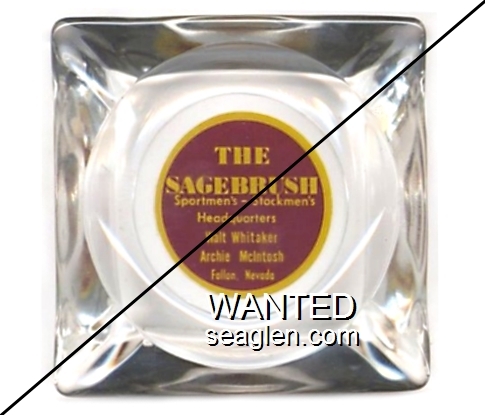 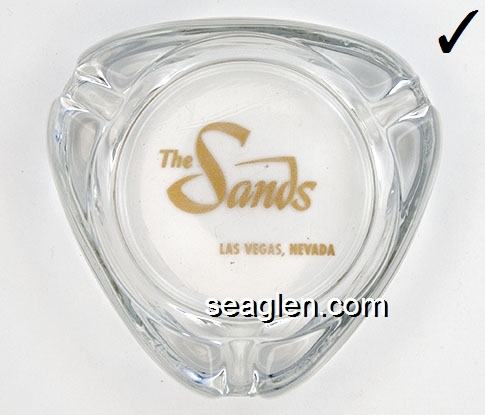 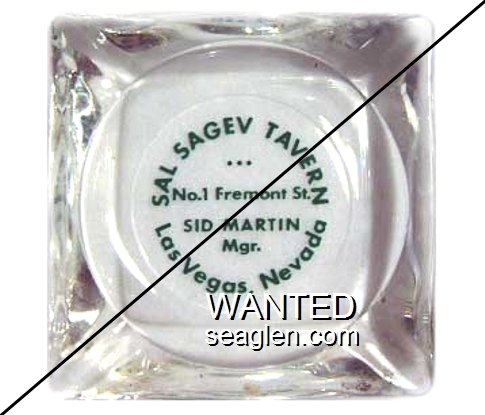 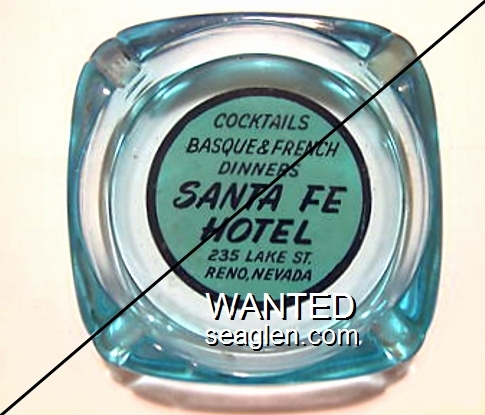 Sal Sagev Tavern, Sid Martin, Mgr., Las Vegas, Nev. 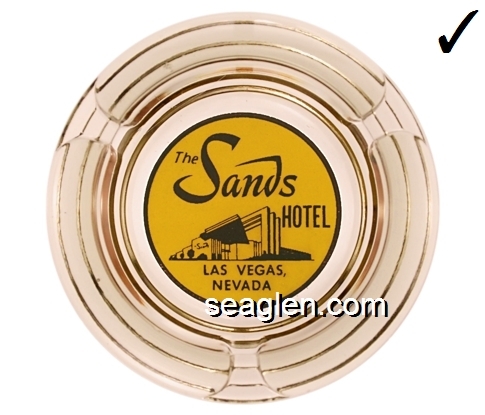 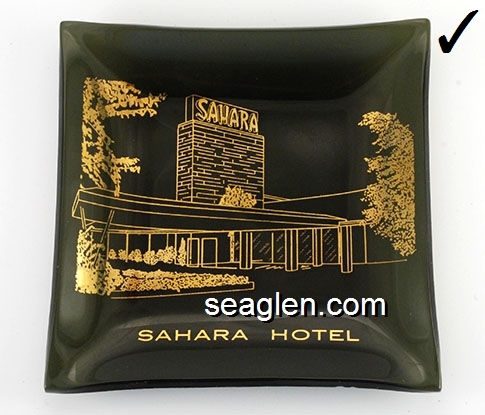 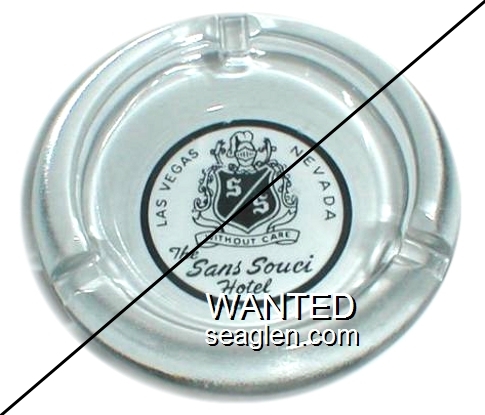 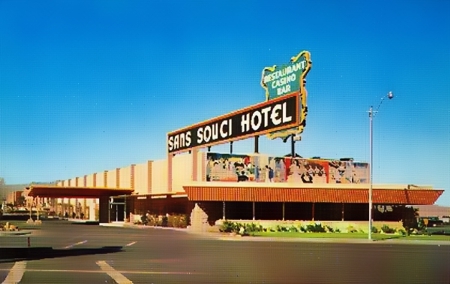 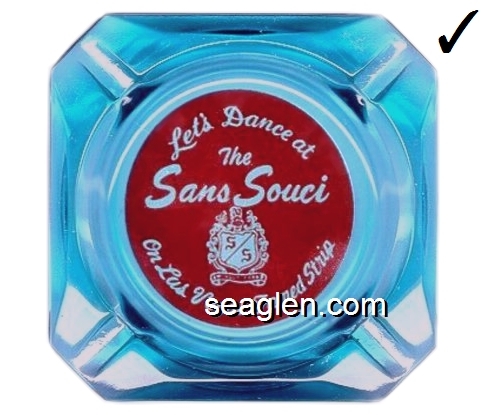 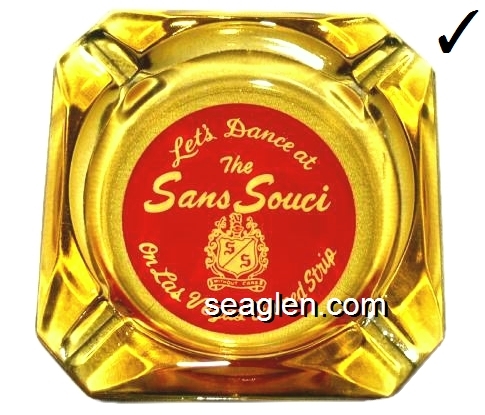 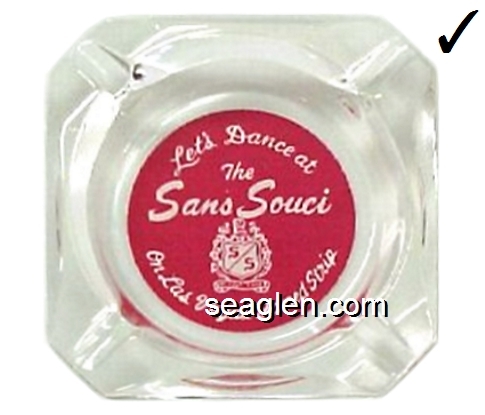 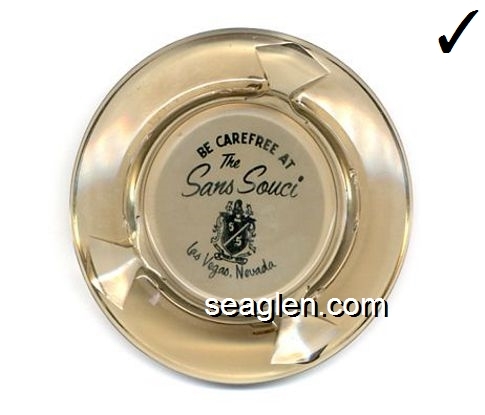 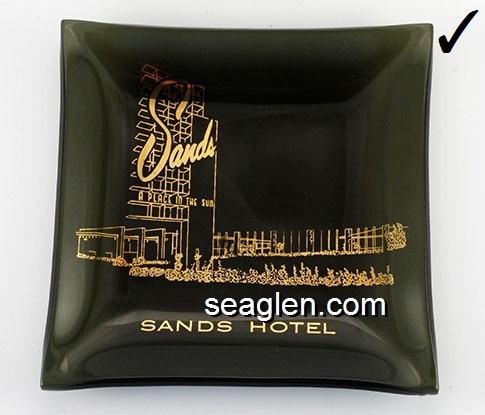 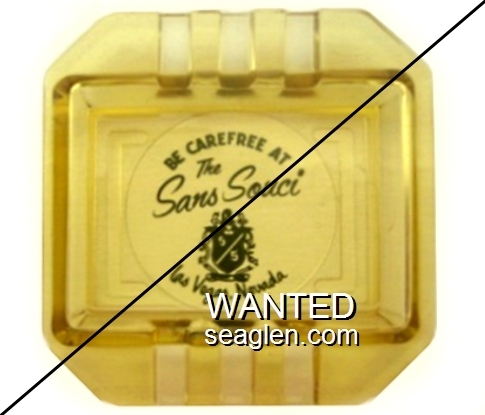 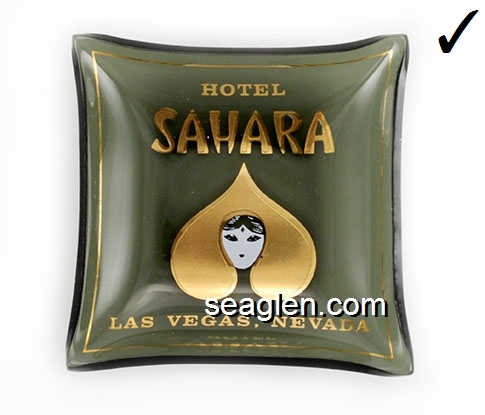 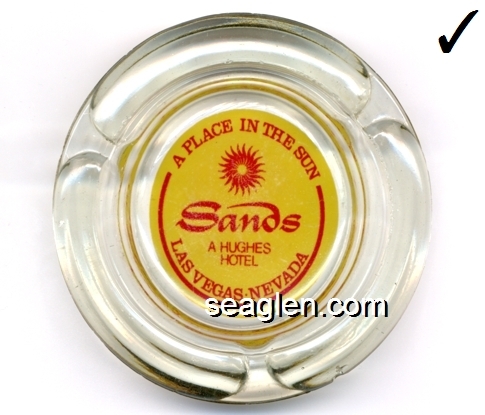 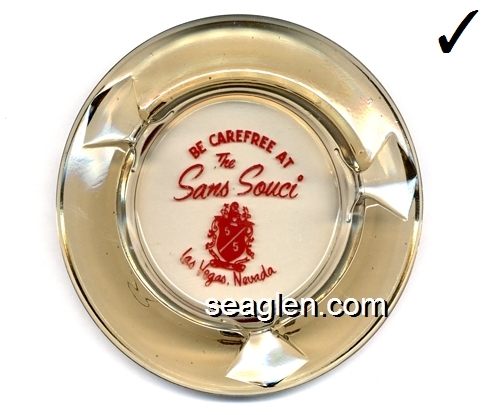 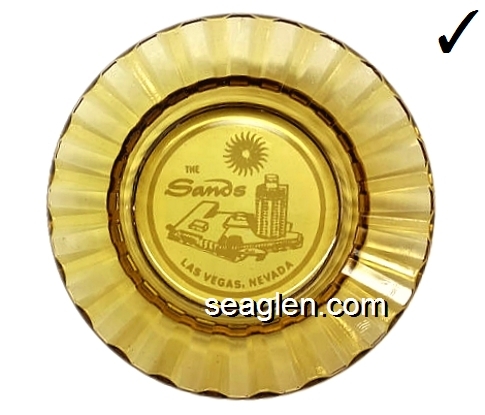 Located at 3320 S. 5th St. (Las Vegas Boulevard), the Sans Souci was originally a motel known as the San Souci Auto Court in the 1930s, which later would become known as the Sans Souci Hotel in the 1950s. 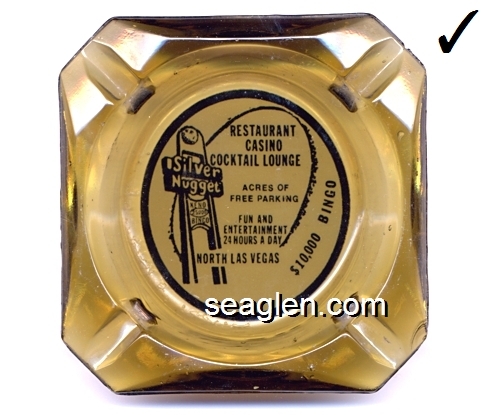 The site was later to become The Castaways (1960s) and later the Mirage in 1989. 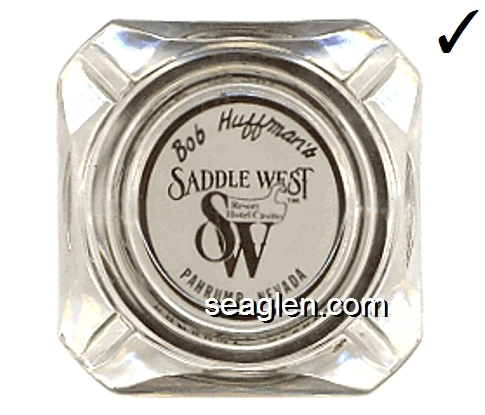 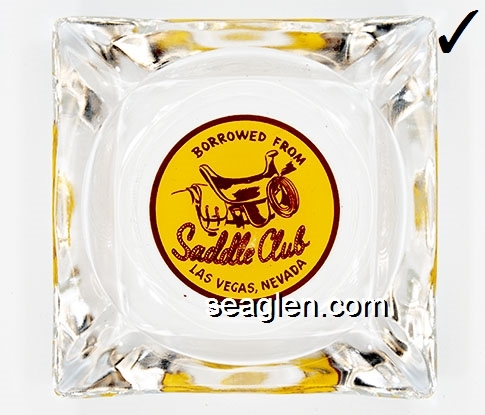 Meet Your Friends at Scotty's Club, Good Eats, Lunch Counter, Winnemucca, Nev.
Cactus Jack's Senator Club, Carson City Nev., Howdy! 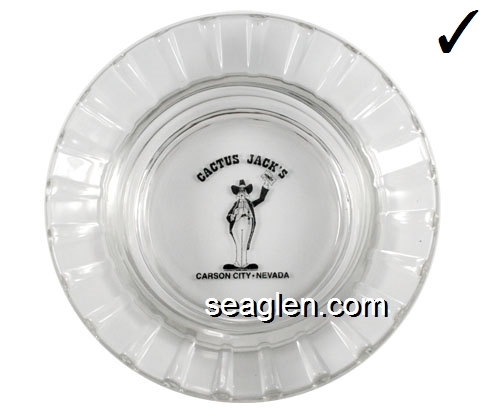 Cactus Jack's Senator Club, Carson City, Nev., Howdy! 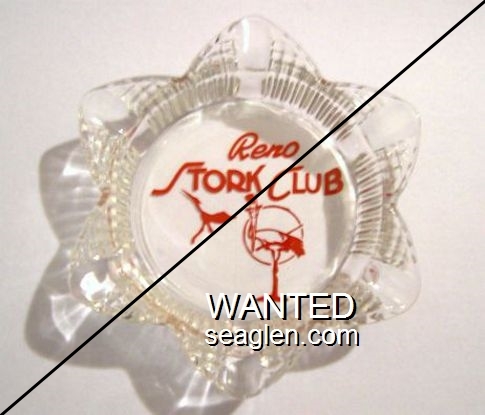 Senator Club, Your Hosts, Pat and Bert, Carson City, Nev.
Ship Bar, Bob and Walt, Carson City, Nev. 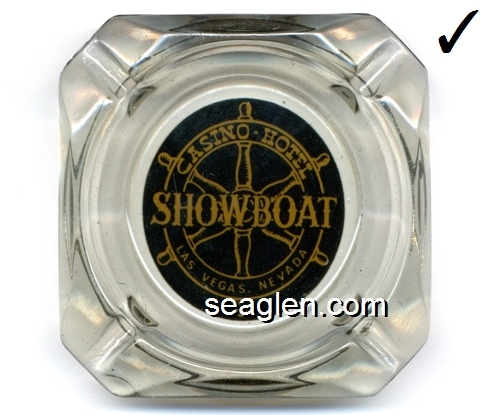 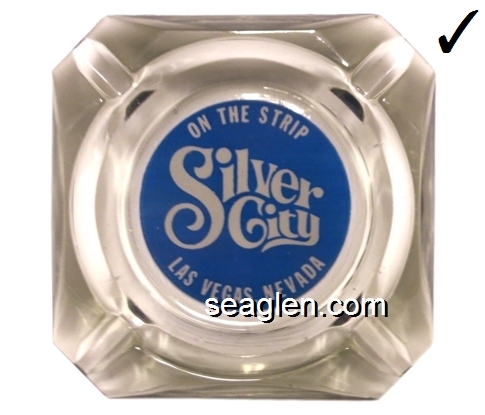 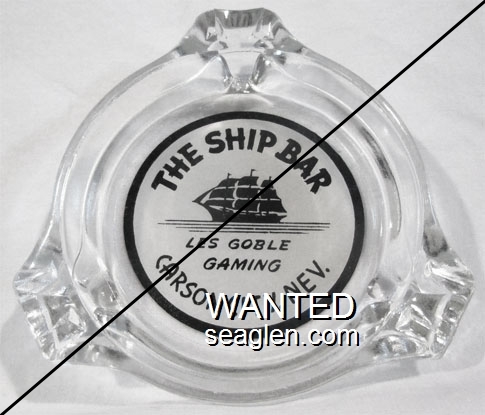 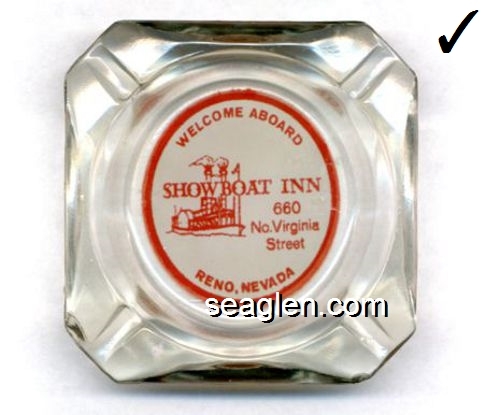 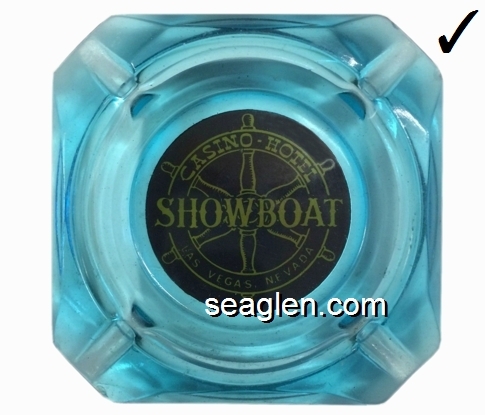 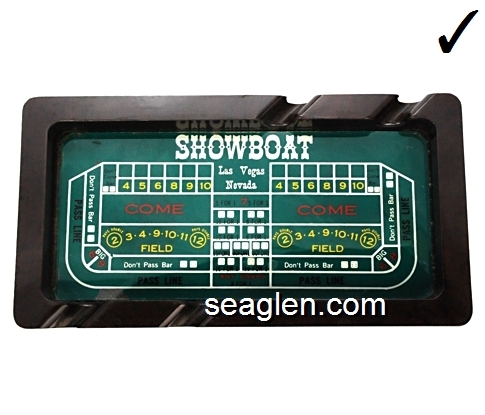 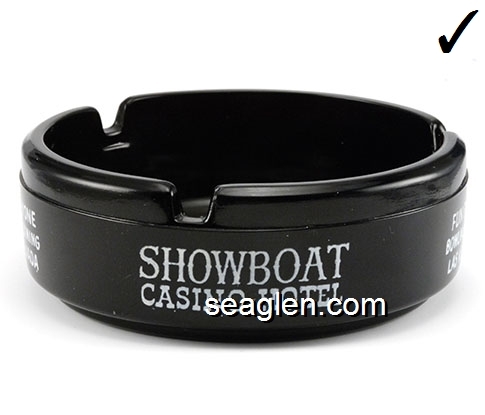 The Ship Bar, Les Goble, Gaming, Carson City, Nev.
Hotel Showboat, Casino Bar & Restaurant, Las Vegas Nev.
Dollar Den, Silverbird Hotel & Casino, Where the Slot Player is a V.I.P. 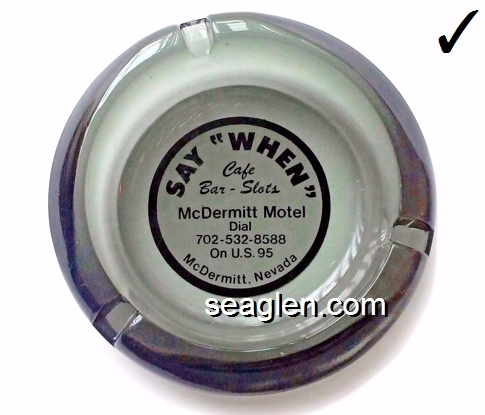 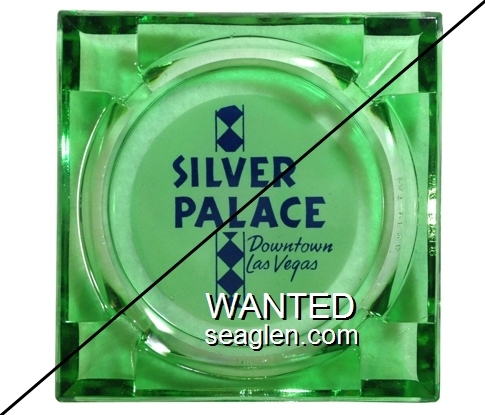 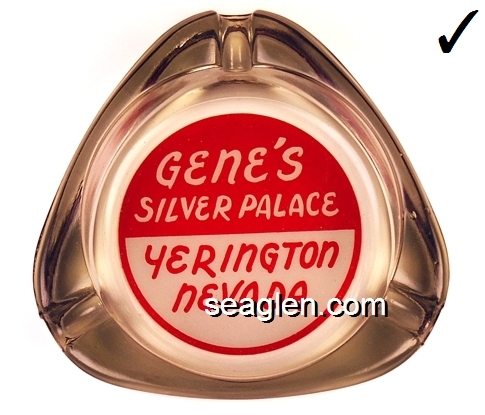 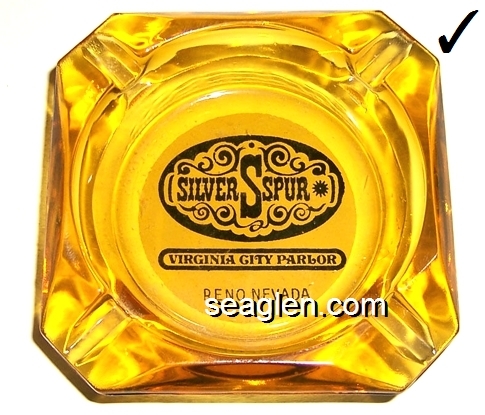 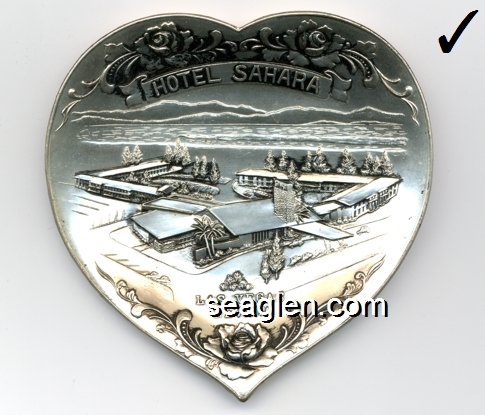 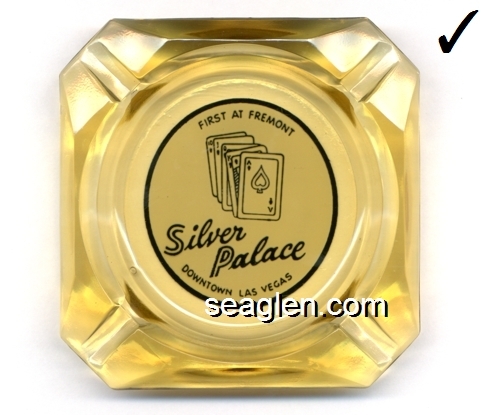 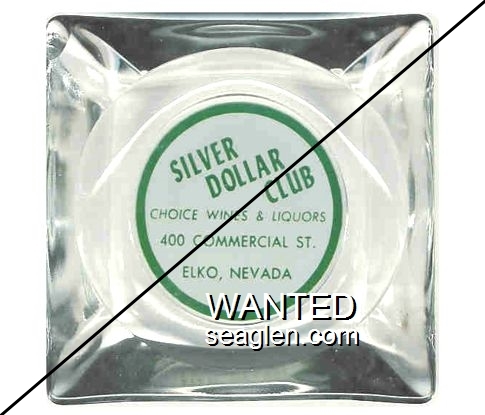 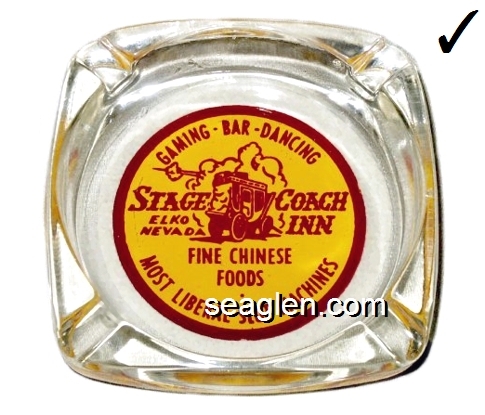 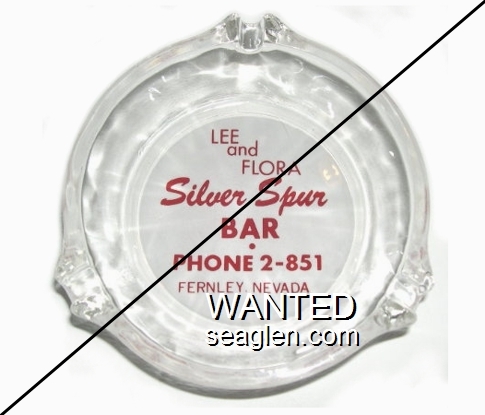 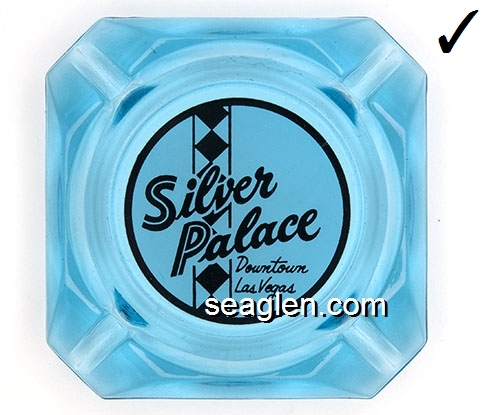 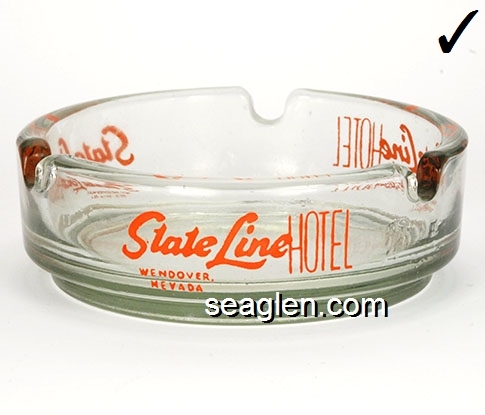 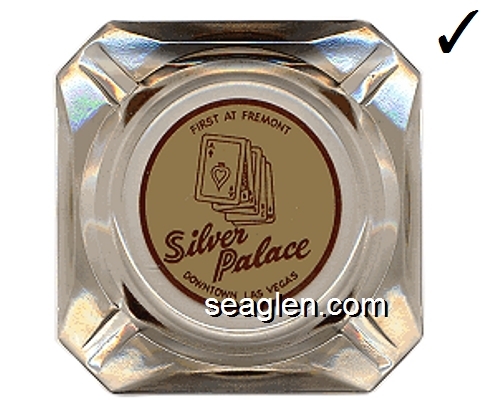 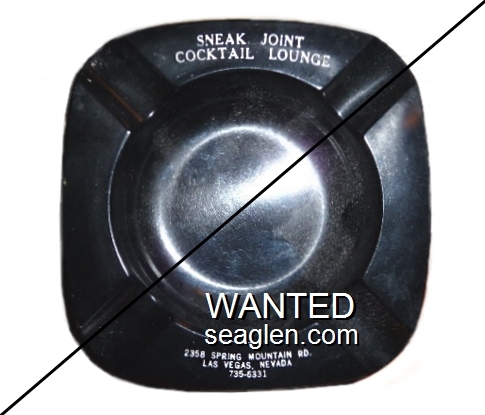 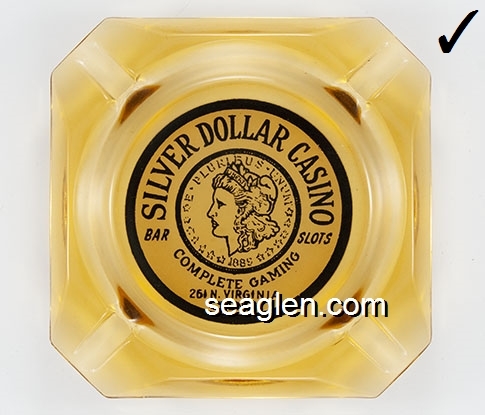 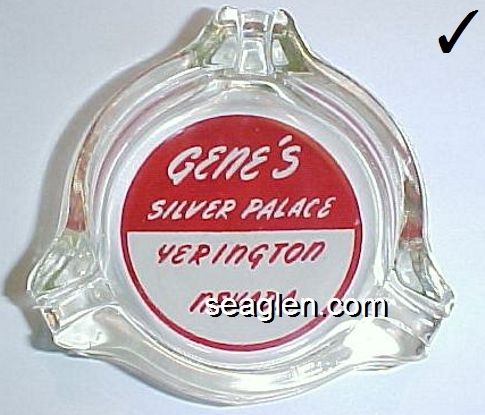 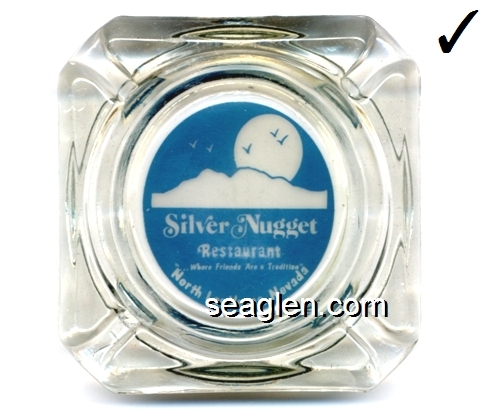 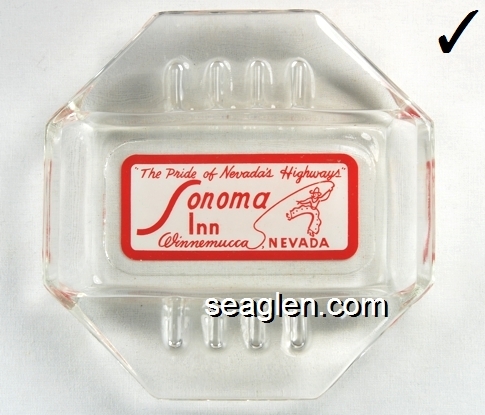 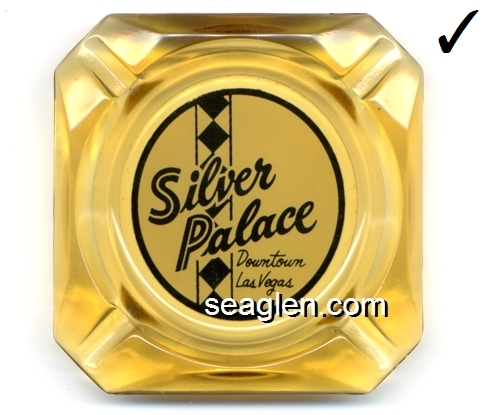 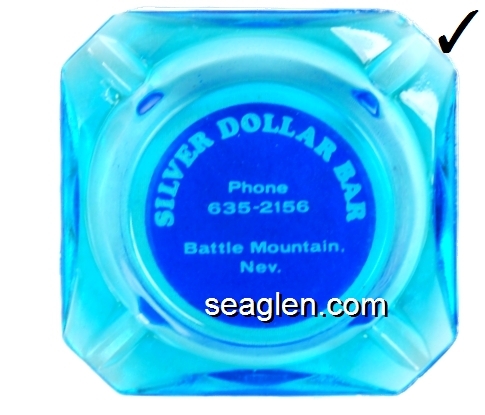 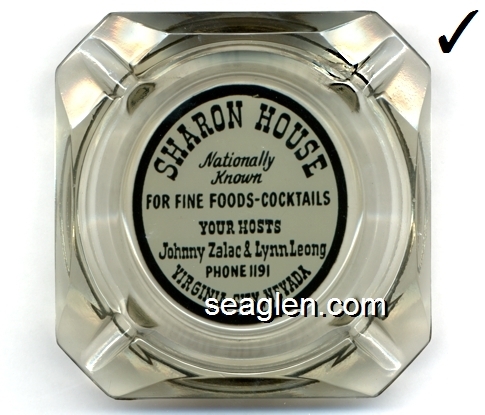 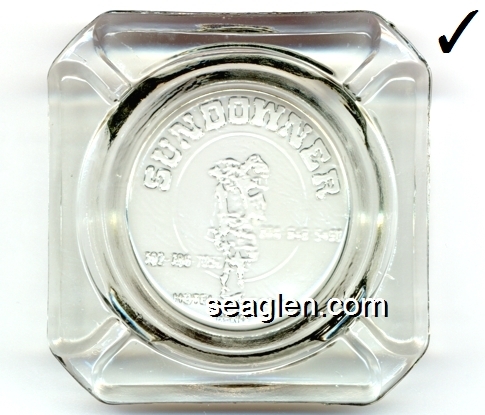 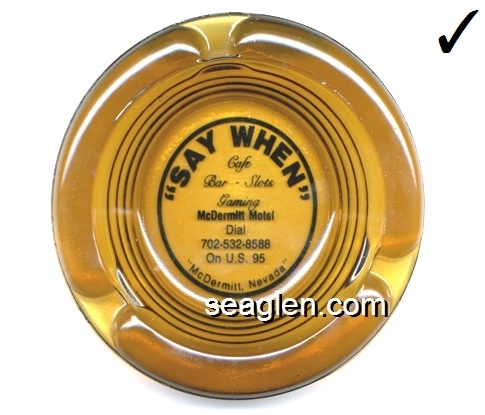 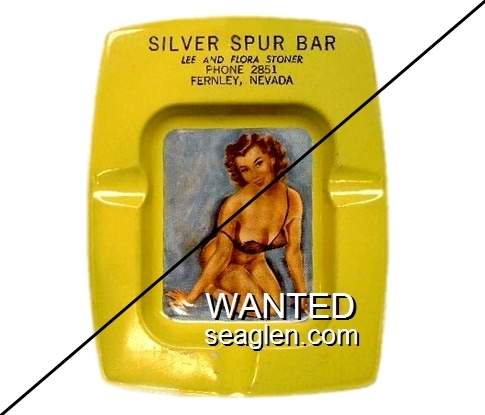 Silver Dollar Bar, Phone 635-2156, Battle Mountain, Nev.
Bill Campbell's, Sonoma Inn, Winnemucca, Nev.
Soper's Montgomery Lodge, World's Highest Casino, Montgomery Pass, Nev.
the Sportsman's, Cocktails, Entertainment, Games, Package Goods, Boulder Hwy., Pittman, Nev. 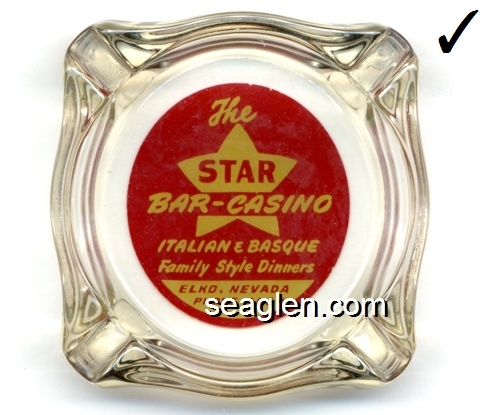 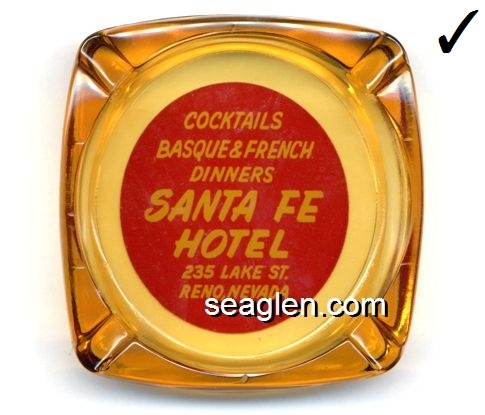 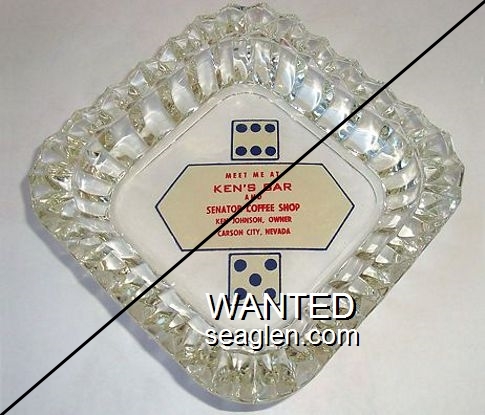 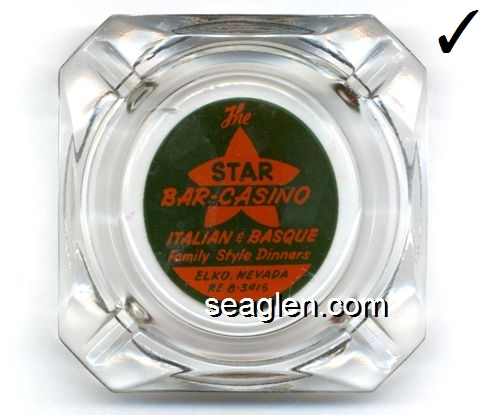 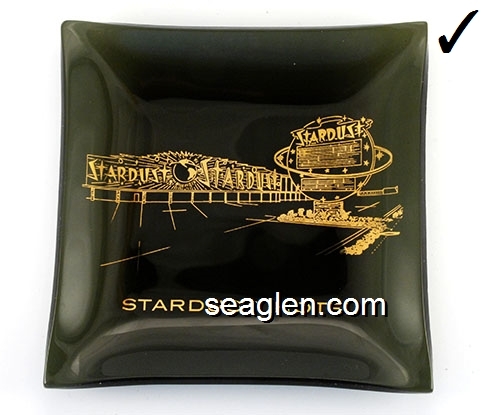 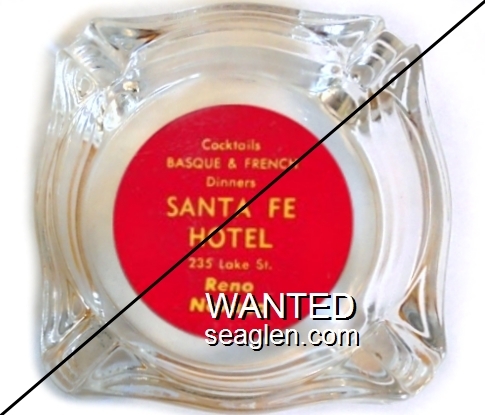 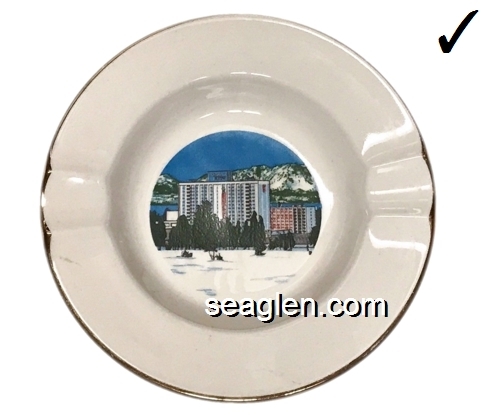 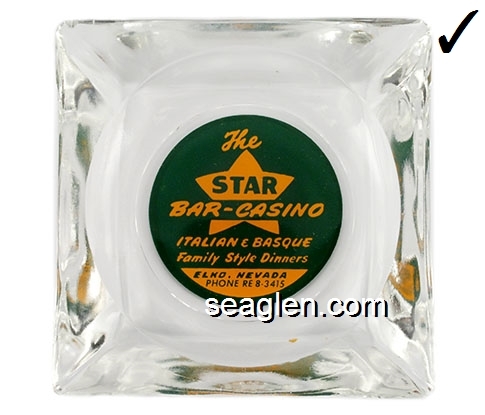 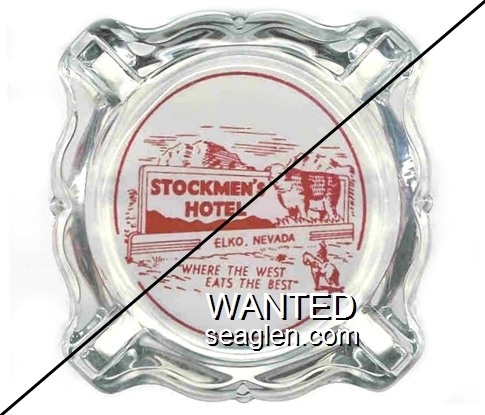 The Star Bar-Casino, Italian & Basque Family Style Dinners, Elko, Nevada, RE 8-9569. 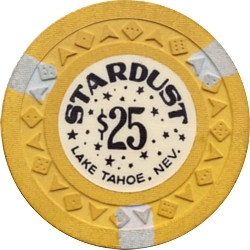 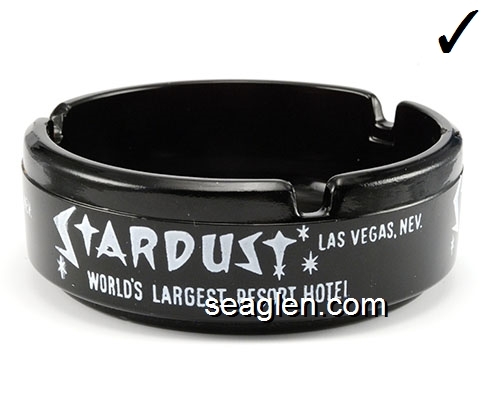 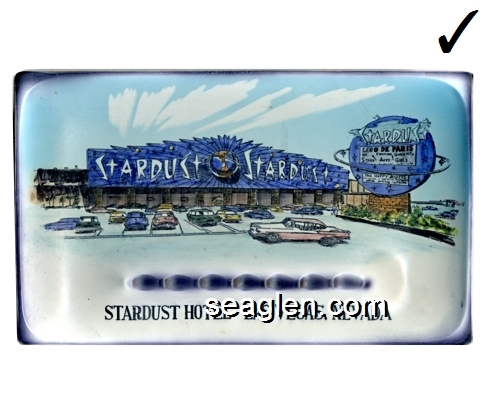 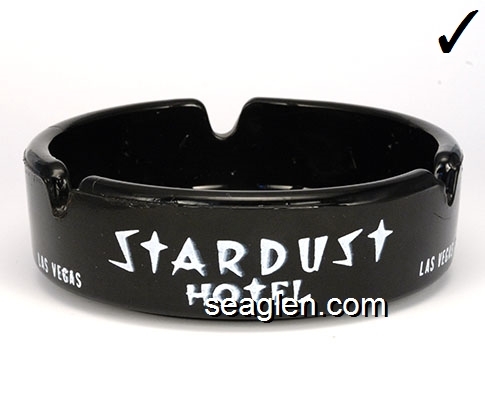 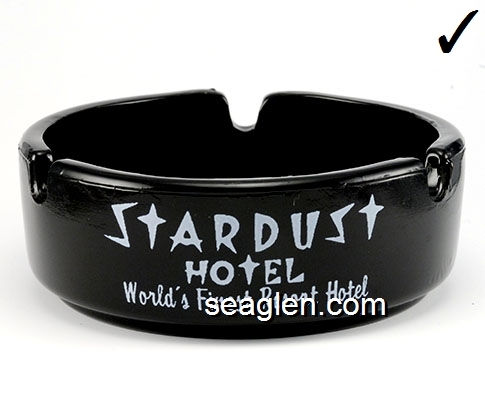 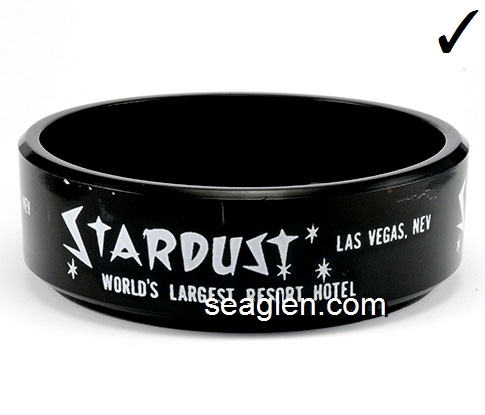 Opened in 1957 in Stateline, Nevada as Fabulous Eddie's Stardust Club in the former Sky Harbor Airport & Casino building, their motto was "The Friendliest Club on the South Shore." 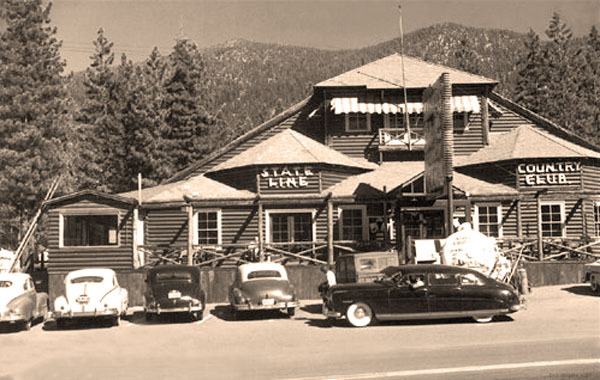 The building was later replaced by Harvey's Inn and in the 1980s Harvey's would become the Lakeside Inn & Casino. 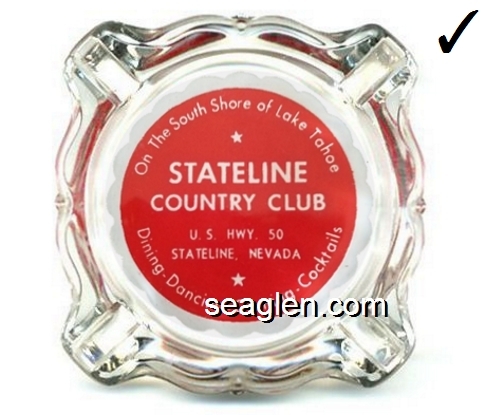 State Inn Bar Cafe Motel, Phone 754-9717, Carlin, Nevada, Geno Quilici Mgr. 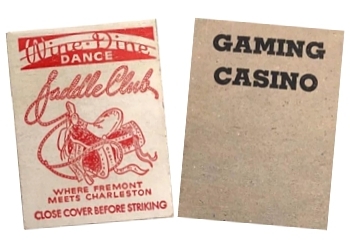 On Hwy 95 in McDermitt, Nevada - licensed for gaming 1982-1983. 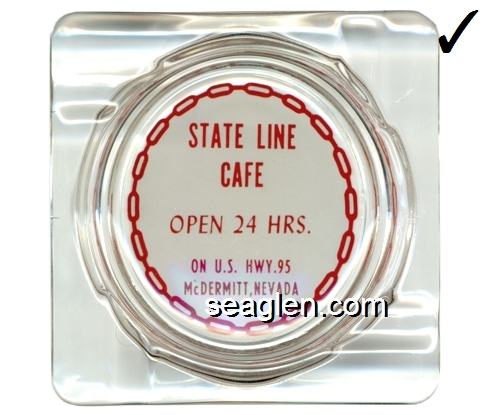 State Line Cafe, On U.S. Hwy. 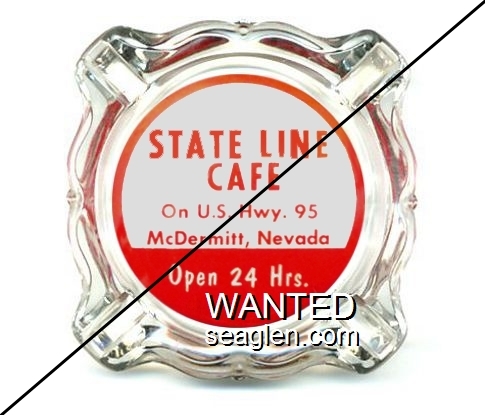 95, McDermitt, Nevada, Open 24 Hrs. 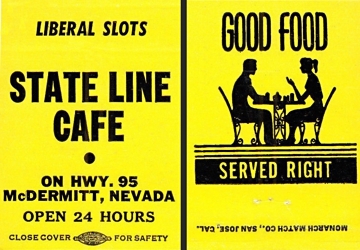 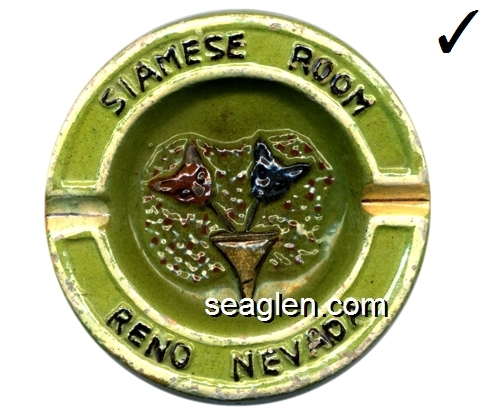 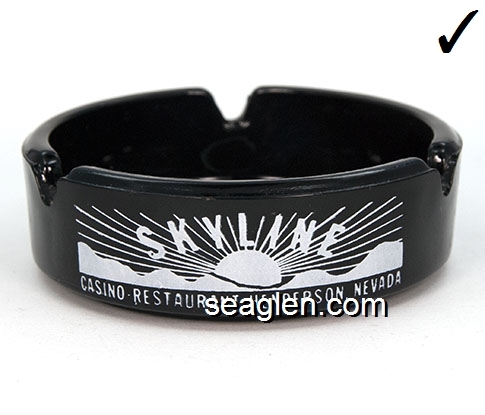 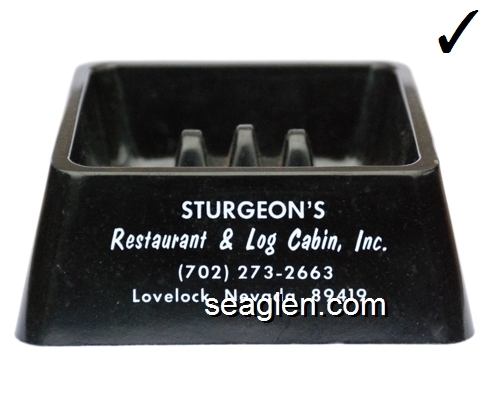 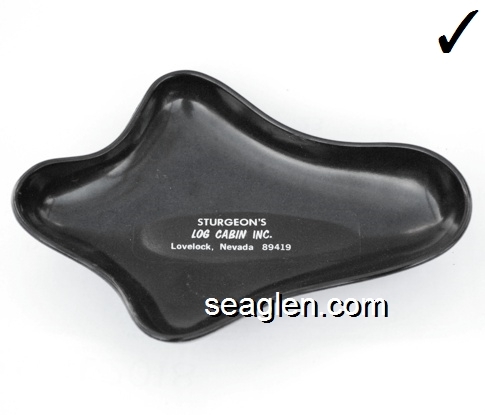 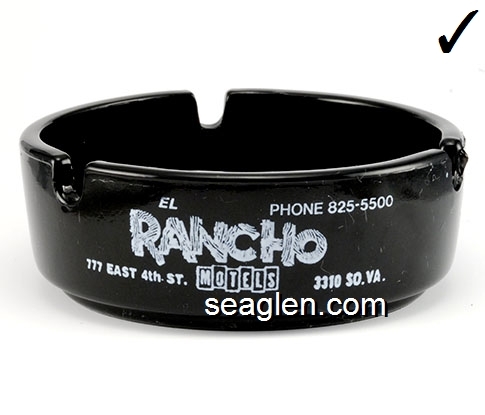 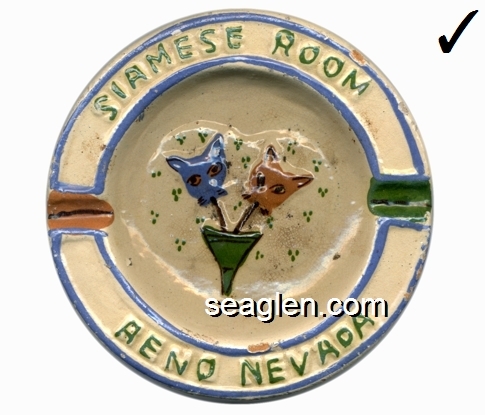 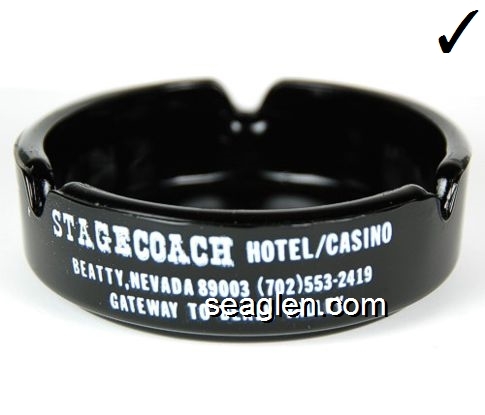 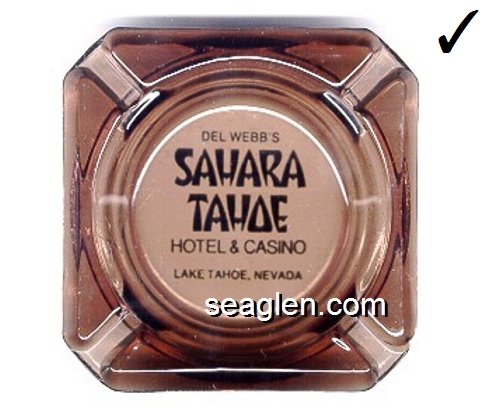 Located on the east side of Hwy 50 at Stateline, Nevada. 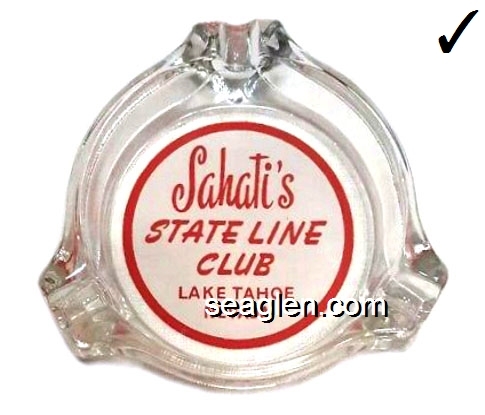 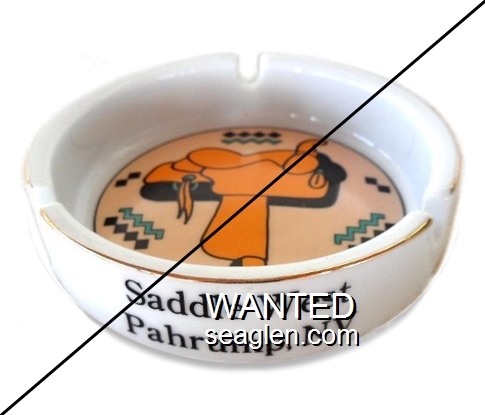 The Sahati family (Edmund, Nickolas, Zafer and Sally) are listed as owners between 1945 and 1953. 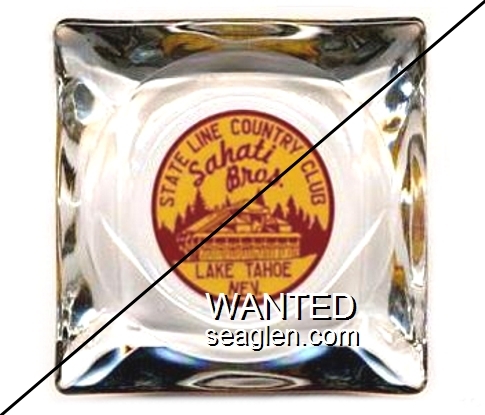 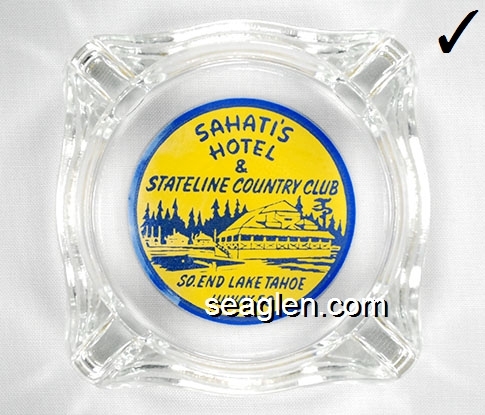 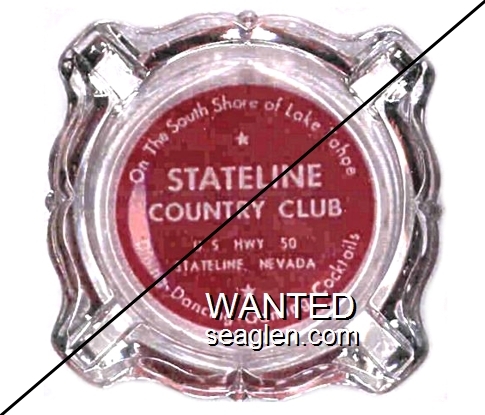 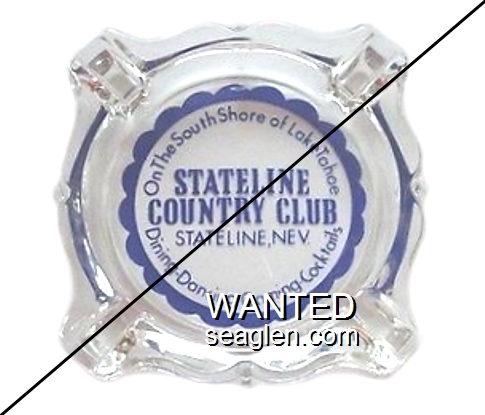 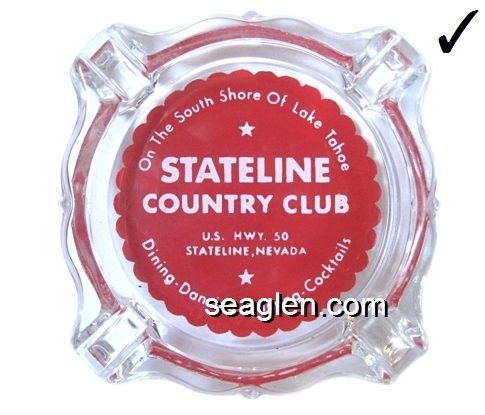 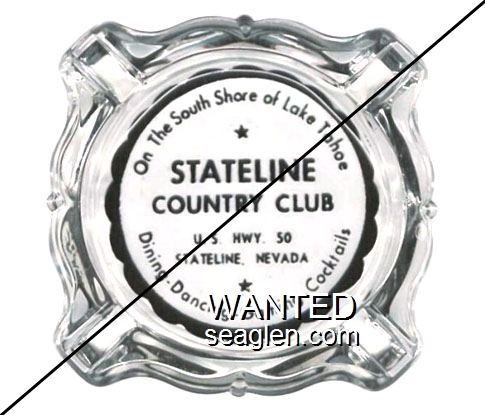 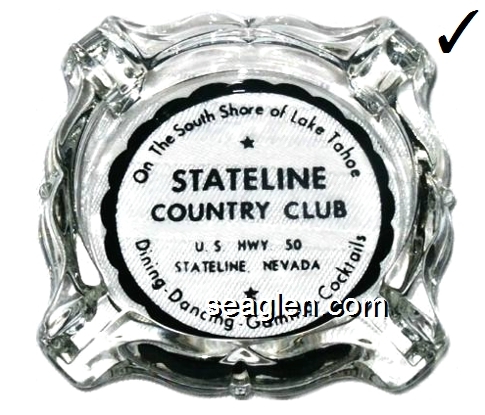 State Line Country Club, Sahati Bros., Lake Tahoe Nev.
Stockman's Bar & Restaurant, Ken, Glenda, Bonnie & Herb, 1560 Reno Highway, Fallon, Nev.
Stockman's Bar, Restaurant & Casino, Your Hosts, Herb & Bonnie, 1560 W. Williams, Fallon, Nev. 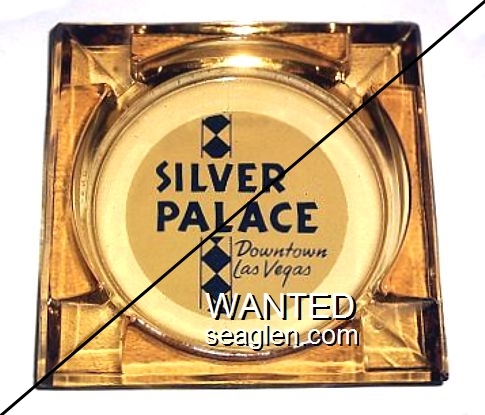 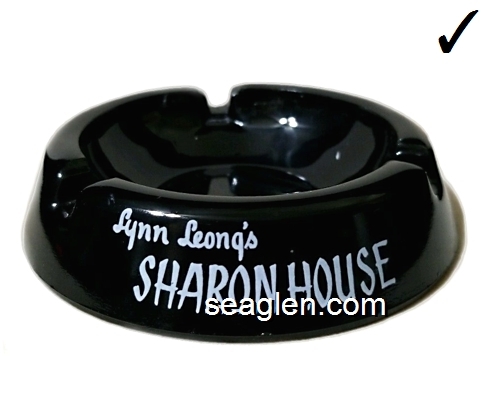 Located at 9090 Alta Drive in Las Vegas, Nevada. 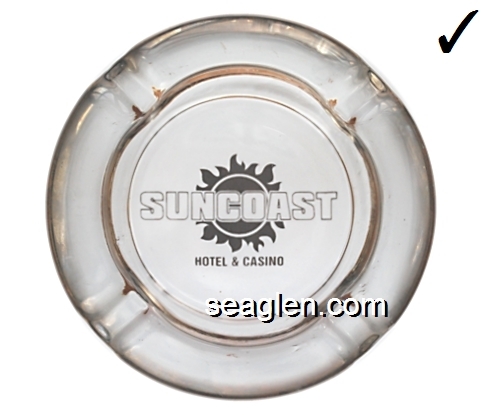 It opened on September 12, 2000 as part of Michael Gaughan's Coast Resorts. 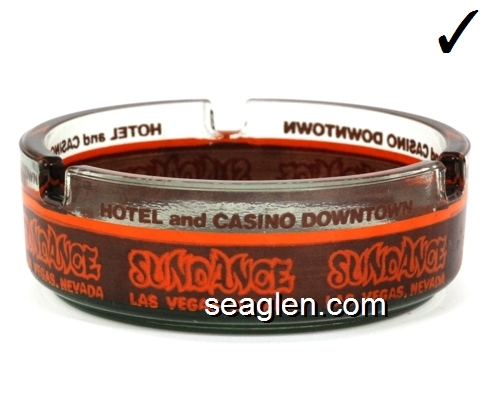 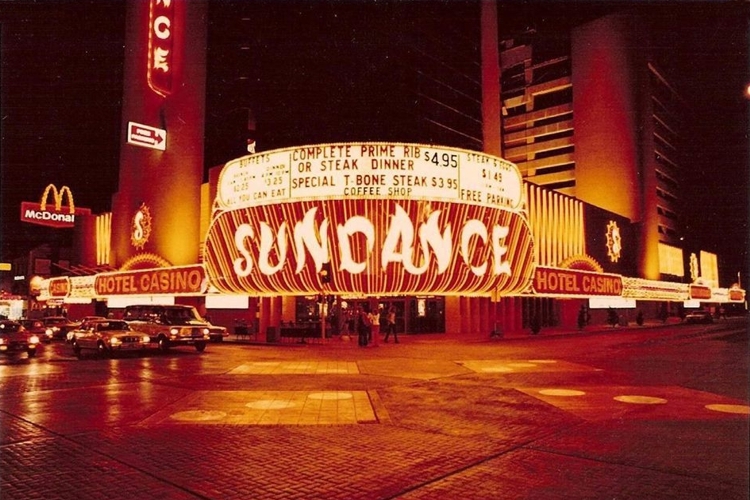 The Sundance Hotel & Casino opened in 1980 on land owned by Moe Dalitz. 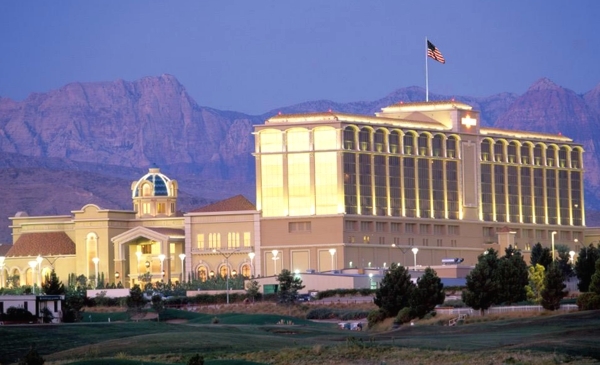 Dalitz, an organized crime figure, faced difficulty from the Gaming Commission. 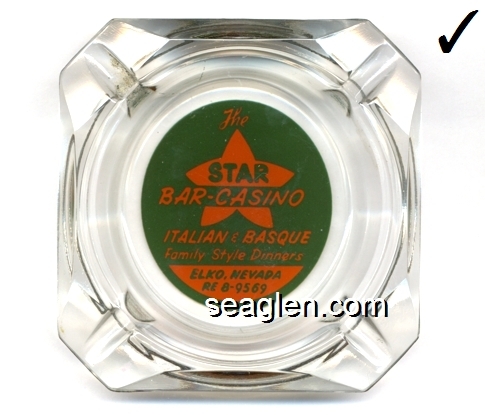 The casino was managed by associates of Dalitz who continued to experience resistance from the Gaming Commission and the casino was eventually sold to become the Fitzgeralds Hotel and Casino, and later The D Las Vegas.